You are currently browsing the archives for the tag 'peter copping'. Sad news not only for the fashion world! 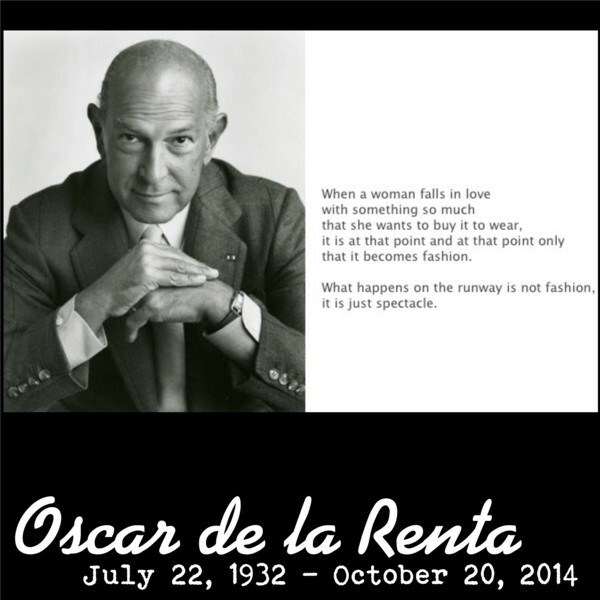 OSCAR DE LA RENTA, the famous fashion designer, died yesterday on October 20, 2014 at his home in Kent, Connecticut at the age of 82, surrounded by family and friends and “more than a few dogs,” according to a statement signed by two of his company’s executives, stepdaughter Eliza Reed Bolen and her husband, Alex Bolen. De la Renta gave up the title of chief executive of his company in 2004, handing over business duties to the two of them, but remained active on the design end, continuing to show his collections during New York Fashion Week. 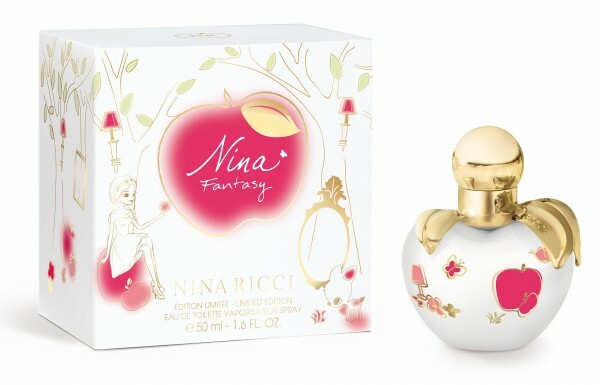 His death comes one week after it was announced that former Nina Ricci designer Peter Copping had been appointed as creative director of the Oscar de la Renta label. 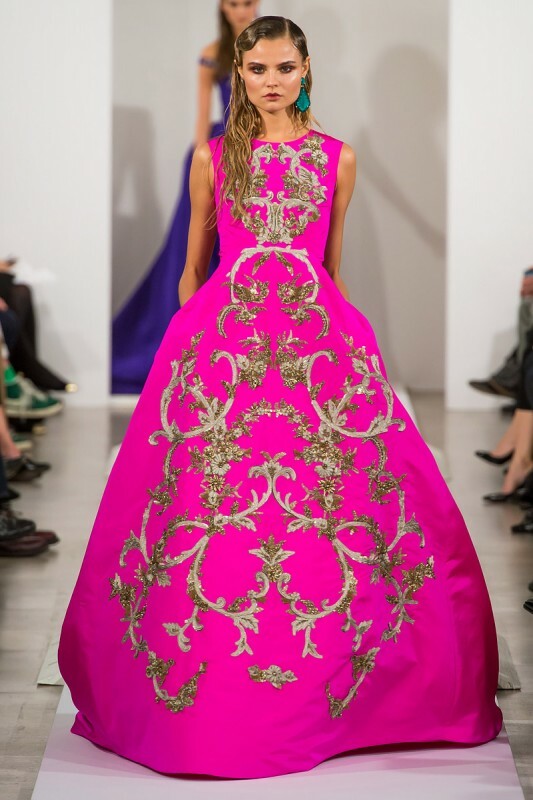 De la Renta is survived by an adopted son, Moises, a designer at the company. The fashion designer after his show at New York Fashion Week on September 9 with Karlie Kloss (left) and Daria Strokous (right). Most recently, Amal Alamuddin wore a de la Renta-designed wedding dress when she married George Clooney. Here, he is pictured with the bride in a photo shoot for Vogue. Fern Mallis, Executive Director of the Council of Fashion Designers of America (CFDA) from 1991-2001, called him once “The Sultan of Suave.” De la Renta himself served as President of the CFDA from 1973 to 1976, and from 1986 to 1988. Óscar Arístides de la Renta Fiallo was born on July 22, 1932 in Santo Domingo in the Dominican Republic. Trained by Cristóbal Balenciaga and Antonio del Castillo, he became internationally known in the 1960s as one of the couturiers to dress Jacqueline Kennedy. The award-winning designer also worked for Lanvin and spearheaded the Pierre Balmain collection from 1993-2002, marking the first time an American designed for a French couture house. His eponymous fashion house is famous for its red carpet gowns, bridal and evening wear that has been loved by leading figures, from film stars to royalty, over decades until today. Sarah Jessica Parker in Oscar de la Renta at this year’s Met Gala in NYC. Stunningly beautiful: this gold bullion embroidered ball gown from the F/W 2013 runway. 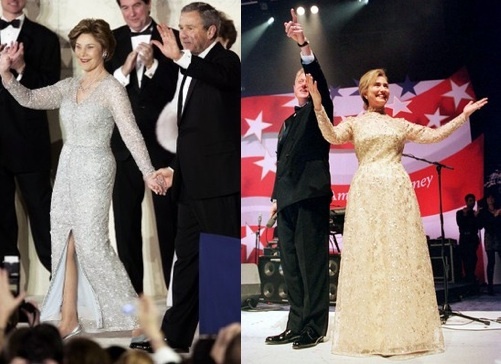 First lady Laura Bush wore an icy blue gown by de la Renta to the 2005 inaugural ball and Hillary Clinton wore a gold de la Renta in 1997. 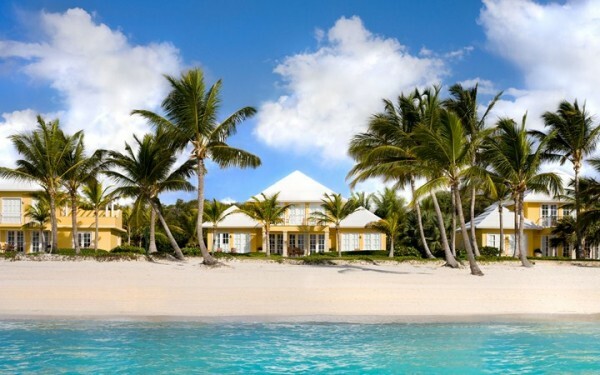 In 2006 Oscar de la Renta designed Tortuga Bay, a Leading Small Hotel of the World boutique hotel at PUNTACANA Resort and Club. 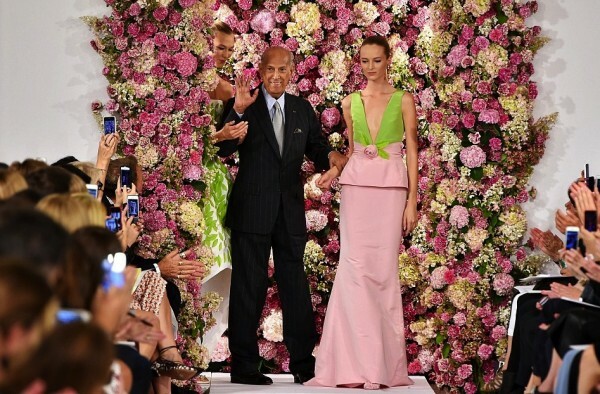 Oscar de la Renta was definitely one of the last great American couture fashion designers. If you want to own a piece of his last collection, I invite you to have a look HERE. I will absolutely get this two-tone silk-satin gown, as I love its cocoon-like cut.